This all-time favorite follows The Very Hungry Caterpillar as it grows from egg to cocoon to beautiful butterfly. 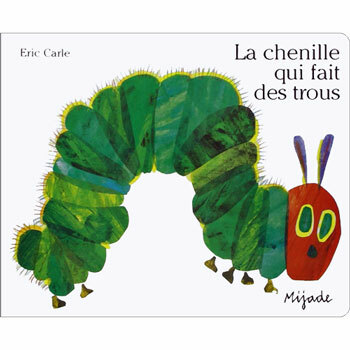 La chenille qui fait des trous is an ideal storybook for teaching the days of the week, counting, colours and fruits in French. 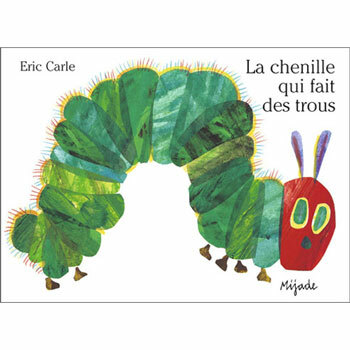 The book is written entirely in French as it is aimed at native French speakers, although the language is fairly simple as it is aimed at very young children. Striking pictures and cleverly die-cut pages offer interactive fun. Purchased this for a nursery French club. Our topic was food. All the children know this classic really well and so really enjoyed learning the food words in French.